Sabra Hummus Dip Recall Announcement – On November 19, 2016, Sabra Dipping Co., LLC recalled multiple hummus products because of potential Listeria contamination. 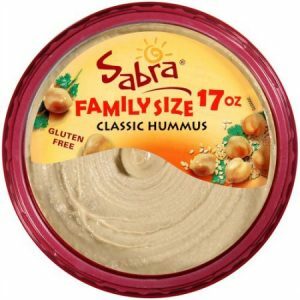 Sabra Dipping Co., LLC has issued a recall on a large variety of their hummus dips. The potentially contaminated dips were manufactured prior to November 8, 2016, and were distributed to retail outlets, including food service accounts and supermarkets, in the U.S. and Canada. According to the Press Release the recall was the result of the identification of Listeria monocytogenes at the production facility. To view the list of all recalled products please see the Table provided in the company press release. Listeria monocytogenes is a bacterium capable of causing a serious and life-threatening foodborne infection known as listeriosis. Listeriosis is caused by eating food contaminated with Listeria bacteria. Healthcare professionals may use the terms “Listeria monocytogenes” or “Listeria” when referring to the bacteria and “listeriosis” when referring to the infection. The U.S. Centers for Disease Control and Prevention (CDC) estimate that there are 1,591 cases of foodborne listeriosis, resulting in 255 deaths, in the U.S. each year. Newborns, pregnant women, older adults, and those individuals with weakened immune systems are at greatest risk for developing listeriosis. Although less common, individuals not belonging to one of these high risk groups can also contract listeriosis. Listeriosis symptoms may include fever, muscle aches, fatigue, and sometimes gastrointestinal symptoms, such as nausea, vomiting, or diarrhea. If the infection spreads to the central nervous system, symptoms may include headache, stiff neck, confusion, loss of balance, or convulsions. Pregnant women may experience only mild, flu-like symptoms. To learn more, please see Symptoms and Complications of Listeria Food Poisoning. Please see Personal Injury Lawyer NJ to learn more about Attorney Eric H. Weinberg. For a free food poisoning lawsuit evaluation, you can contact our firm 24/7 at 1-877-934-6274.